Buy Textbook of General Anatomy book online at Low Price In India on shopmebook.com. 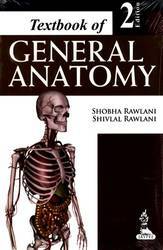 Textbook of General Anatomy books by author Rawlani Shobha. cash on delivery available.